I don’t know about you but my family can really smell up our house – and I don’t mean in a good way! My husband is all about covering up odors with sprays, gels, powders all with nauseatingly sweet and flowery smells! Yuck! Not only do these “air fresheners” smell awful but they also contain harmful chemicals that can irritate your nose and lungs. 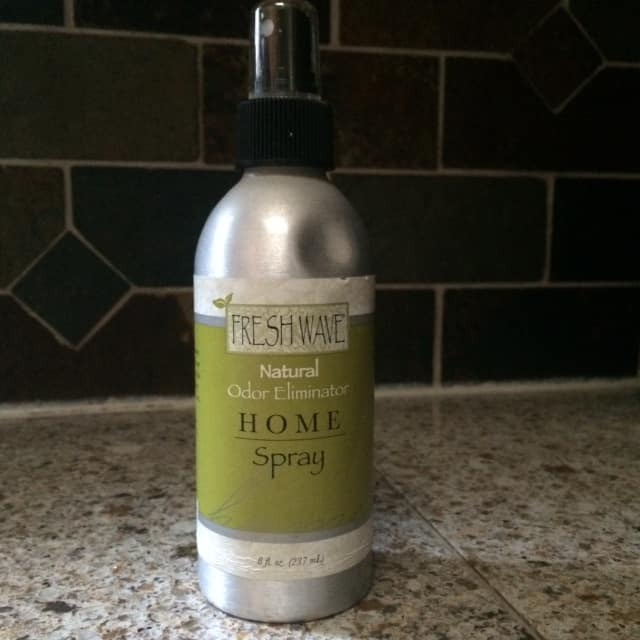 To keep our home smelling fresh safely we use products from Fresh Wave. It’s ingredients are non-toxic, the container is recyclable (unlike aerosol containers), it actually works and smells great!